Nobody does luxury SUVs quite like Land Rover. True to their reputation, the British automaker geared up for its Geneva Motor Show release of their latest and most luxurious iteration of the Range Rover: the new Range Rover Autobiography Ultimate Edition. Limited to only 500 units, the Range Rover Autobiography Ultimate Edition is quite possibly the ‘Holy Grail’ of all special edition Range Rovers. 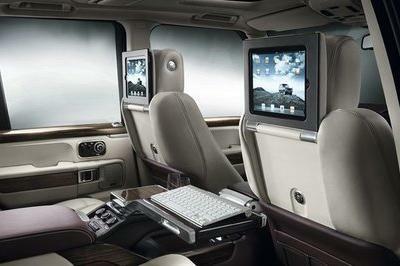 Think about having your own mobile office inside a Range Rover and then add some luxury touches to it. That’s what this new Range Rover is expected to be like. It’s got plenty of new features that you won’t find on any other Range Rover model, which makes this particular Ultimate Edition a must-have for fans of the British SUV brand. What’s also worth noting about this particular version of the Range Rover is that it could quite possibly be the final special edition version of the current range of the Range Rover. Though nothing has been made official yet, there’s already a growing sentiment that the next generation Range Rover is drawing closer and closer to its launch date. Whether that’s a good or bad thing when it comes to your intentions on purchasing a piece of this special edition Range Rover is irrelevant at this point. With all the luxury furnishings and add-ons included on this one, it would be difficult to let it pass, even if it’s technically going to be an ‘outdated’ model real soon. 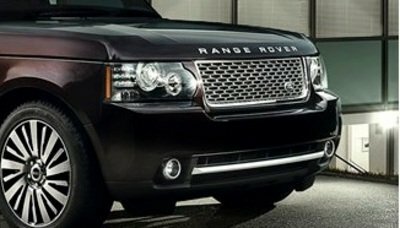 UPDATE 03/02/11: New specs and details on the Range Rover Autobiography Ultimate Edition are up! Check them out after the jump. The Range Rover Autobiography Ultimate Edition was given such an extensive amount of handcrafted luxury treatment, you kind of feel like you’re sitting in your high-rise office, albeit with a set of four wheels under it. Available in two unique exterior colors - Roussillon Red or Otago Stone - this SUV embodies everything that’s posh and high-class in this world. Apart from the two paint finishes, the prime time luxury SUV also has body-colored door handles, a dark atlas radiator grille and side vents to create a sophisticated finish. These features complement the set of lavish 20" multi-spoke diamond-turned alloy wheels that gives the Range Rover Autobiography Ultimate Edition the luxury cred it obviously exudes. Among the modifications done on the interior include the individual bucket seats with two stand-alone electric seats on the rear that provides ample space and comfort for rear passengers, befitting of first-class-style accommodations. There’s also a new center console where the rear bench used to be. A fair amount of wood, leather, and aluminum trims on the SUV’s interior ensures that upscale luxury is the front and center theme of the vehicle. 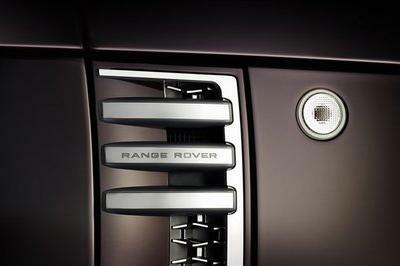 Land Rover also gave the special edition Range Rover Kalahari wood veneers on the door tops, Oxford leather on the door casings, dashboard top, and steering wheel, and teak flooring with metal and leather detailing on the trunk with interior color schemes of either Arabica or dark cherry being made available. Oh, and there’s also a rear console extension, a machined aluminum laptop table and drinks cooler, and a couple of iPads installed into the backside of the front seat headrests. 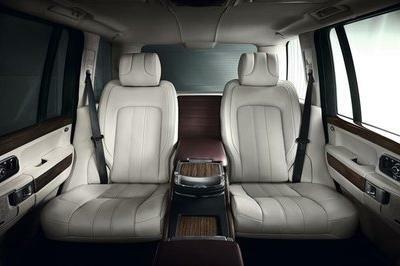 The Range Rover Autobiography Ultimate Edition is available with two engine variations. 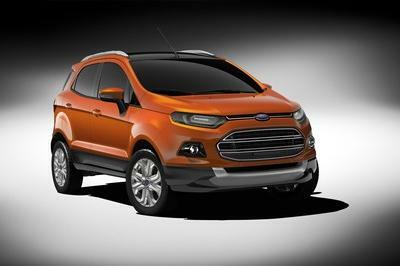 The first one is a 4.4-liter V8 diesel engine that is capable of producing 309 horsepower and 516 lb/ft of torque. Performance numbers for this particular engine translate to a 0-60 mph time of 7.5 seconds and a top speed of 130 mph. If that engine isn’t powerful enough for you, Land Rover is offering another drivetrain option that should be able to satiate your thirst for metal-bending power. This version of the Range Rover Autobiography Ultimate Edition will come with a 5.0-liter supercharged V8 gas engine that produces a staggering 503 horsepower and 461 lb/ft of torque. This version’s ’north to 60’ time clocks in at 5.9 seconds with a top speed of 140 mph. The price tag for this special edition Range Rover is expensive, if not justified. For all the luxury goodies that have been installed in this exclusive SUV, you’re going to need to shell out around £130,000, or somewhere north of $200,000 based on current exchange rates. The 500-piece model is going to be available in only 20 markets, produced to individual order. So if you’re interested in one, better start making plans for your bank account after you part ways with a breezy $200,000. The British and the Germans always seem to find a way to compete against one another. While not on the scale of historic proportions, the British-born Range Rover sees its strongest competition in the form of the BMW X6. The current generation X6 has a powertrain akin to what can be found under the Range Rover’s hood. Engine options for the X6 include a 3.0-liter twin turbo engine that produces 320 horsepower. The second engine option is a 4.4-liter twin turbo V8 delivering that delivers 420 horsepower. Finally, there’s the top-of-the-line 4.4-liter twin turbo V8 that nets you 555 horsepower. If you’re basing your choice exclusively on powertrain, both the Range Rover and the X6 pretty much have similar offerings, making this a choice of preference. Fortunately for the Range Rover Autobiography Ultimate Edition, all of its luxury add-ons should be enough to coax any interested buyer on its side – as long as that buyer doesn’t mind shelling out an astronomical $200,000 for the privilege. Definition of "luxury on four wheels"
This one really looks quite good. 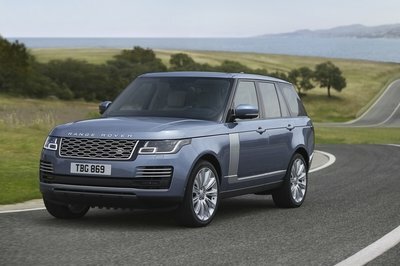 I have always looked forward to Range Rover’s new line of vehicles, and this will probably be one of their best ones. 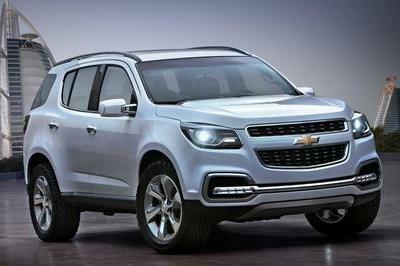 It’s too bulky for a luxury SUV, and I think they should use a lighter body paint for its exterior, so that it will look more elegant. Anyway, I love the interior technology of it even its engine output. I guess this vehicle is like the Cadillac and limousine car. The car just speaks for luxuriousness and high technology . Every detail on the car is just an impressive! 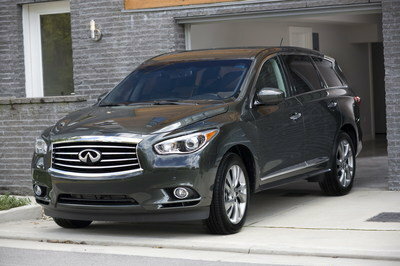 This is one of the powerful vehicle in US market. The design look so luxurious and elegant. And it seems that it offer a high technology as well! It’s really a luxury wheel! Agreed. Aside from the Cadillac and Maybach this car is the true definition of the word luxury. And the speed performance of the car is quite awesome for a SUV car! The speed and power output of the car is quite impressive. With the awesome styling in the interior of the car no wonder why its successful in the market. And I think this car was the favorite model of Americans With the luxurious specs and high technology features no wonder why everyone likes it. This is really the true definition of the word luxury! However, the engine performance of this car less powerful compare to its competitor. And IMO, the BMW X6 is quite an impressive production model rather than the Range Rover. The interior of this car reminds me of the luxurious car brand the Cadillac. Well, this newer model from the Range Rover is for exclusivity only so I bet having one of this is quite impossible for an ordinary citizen. This one adds a nice vintage feel to the Range Rover, in contrast to the modern features that it has included. Really great piece for those looking for a good Rover upgrade. nice looking unit. 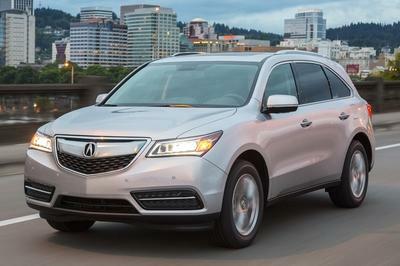 POS to drive and own, unless you love spending time at the dealership for warranty work, and of course if you love a unit that depreciates more than anything else on the road. Boo Land Rover, boo. These new diesels are awesome. No smell, min noise, excellent power and less maintenance with long service life.